The Chocolate Paradise is actually a chocolate peppermint flavored paradise. It blends peppermint schnapps with chocolate milk to make a cold and very grown-up version of hot chocolate with peppermint. This is, of course, a wonderful dessert drink. And you can blend it instead of serving it on the rocks, when the mood strikes. 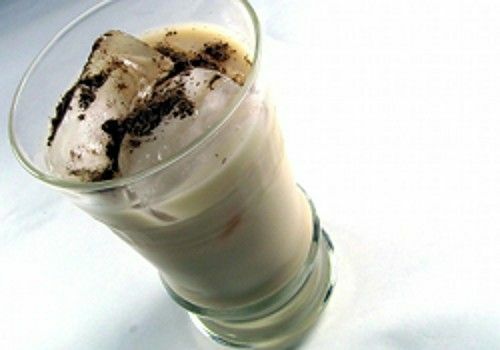 It’s a fun and tasty drink, rather light on the alcohol, so you can enjoy it most anytime or serve it to guests who are light drinkers. Fill a tall glass with ice. Pour the ingredients over the ice and stir. Garnish with a little cocoa powder sprinkled on top.